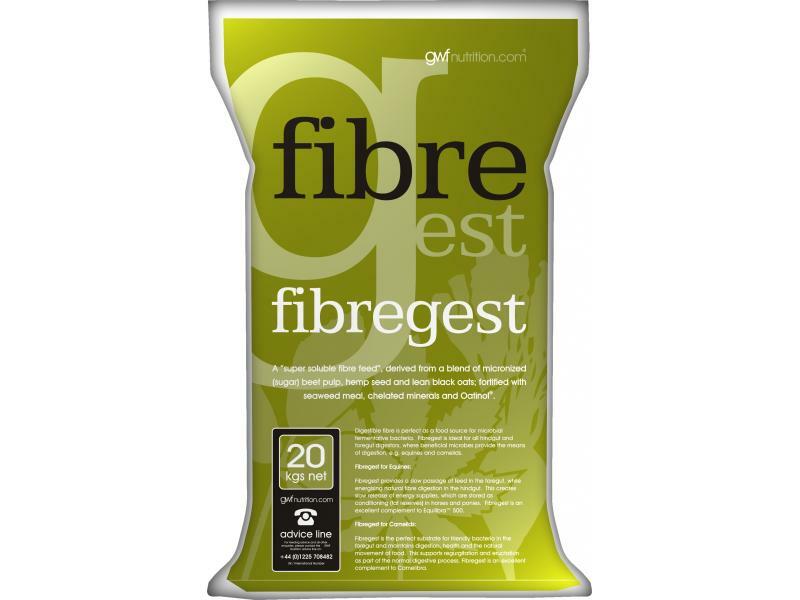 Fibregest is a very high quality, non-soak “super soluble fibre feed”, derived from a blend of micronized beet pulp, hemp seed and lean black oats; fortified with seaweed meal, chelated minerals and Oatinol. 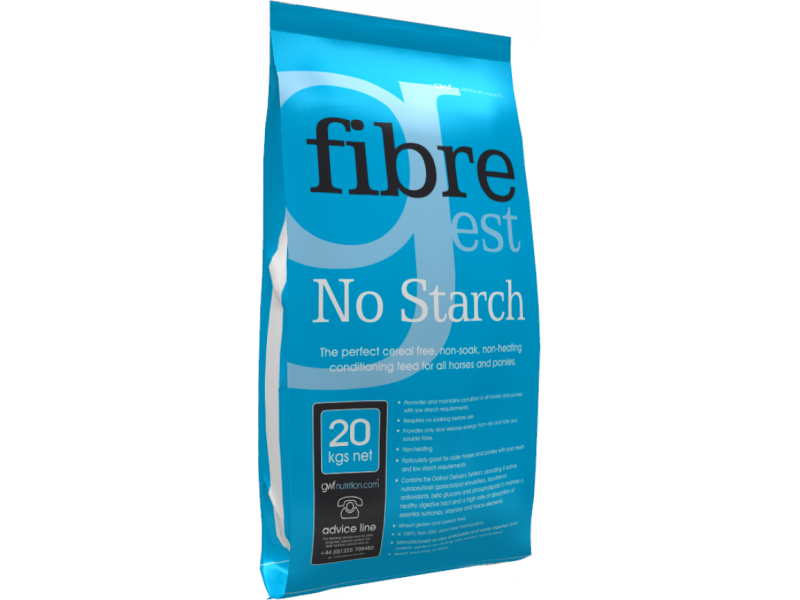 No Starch Fibregest is a cereal free, very high quality, non-soak “super soluble fibre feed”, derived from a blend of micronized beet pulp, hemp seed and copra (coconut) meal; fortified with seaweed meal, chelated minerals and Oatinol. Fibregest is suitable for horses, ponies, alpacas, llamas and camels. There are currently no questions for GWF Nutrition Fibregest For Horses - be the first to ask one!